The world needs more love, joy and illumination. The world needs more writers doing their thing. It’s easy to get wrapped up in the modern world, but some people see the world differently. You see compassion. You see beauty. You see love everywhere. You know that that the world is basically a good place and that if others could just see it, they would agree. You make things that express the beauty you see. And the pain. And the hope. 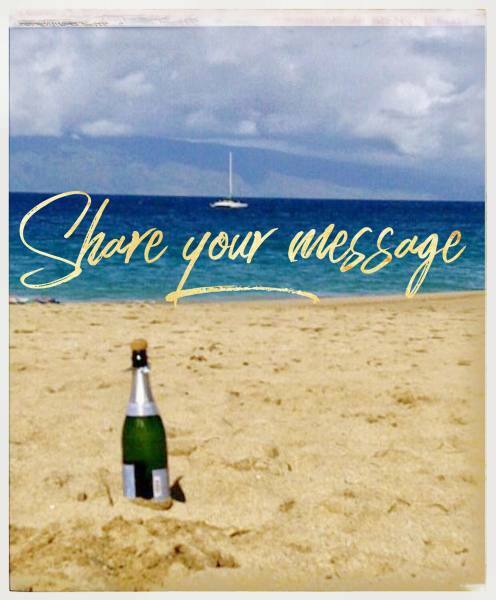 You know that part of your life’s mission is to share that message with the world- even if you might not know what it is yet. It’s the calling of your soul. To share beauty. To make more love happen. To show the way of peace to others through your writing. You change the world when you write. You call in beauty. You create more joy. You give people hope, comfort, and insight. Your words bring healing to the world. Writing is an act of divine creativity. And I think that there needs to be a whole LOT more of it. 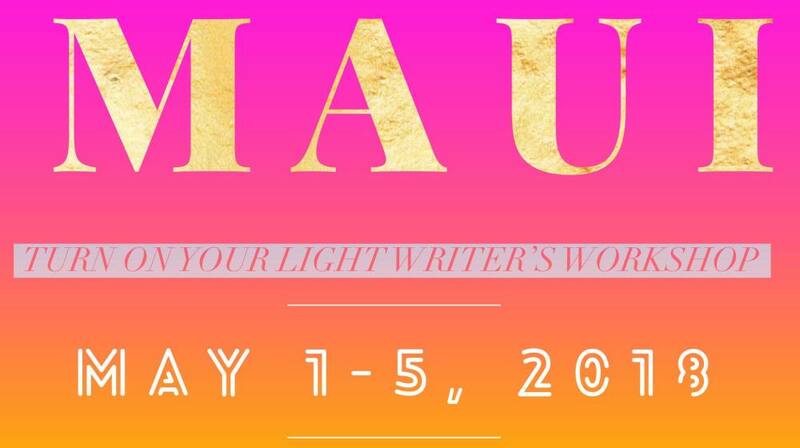 This May, I am taking a group of writers to the most amazing space I know so they can tap into their own sacredness and fill the world with more art. The more connected you are as a writer, the more profound your message is. The faster the words appear, right on target, full of flow, inspired and with ease. 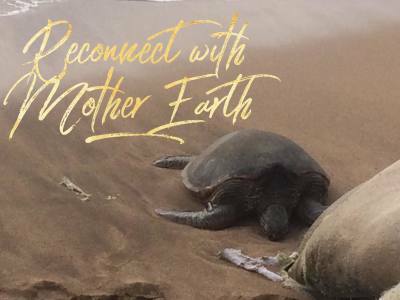 Maui is a place of not only grand beauty and fun, it is a place where the land sings. It’s a place where the palms whisper their secrets as the trades blow across the heavens. It’s a place where the waves roll in to the shore in constant greeting of the ocean. It’s a place where food gets flavorful, neighbors offer you ripe mangoes and Aloha is a way of life. 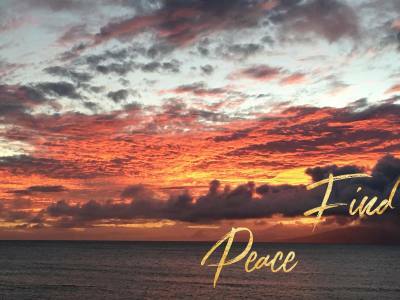 Maui is a place where you can hear the world speak in a clear voice about what’s REALLY true about the world. 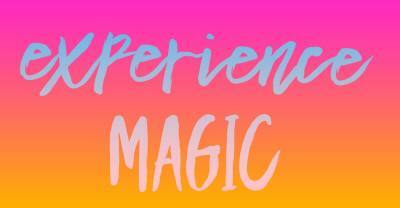 This writing workshop is about tapping into your ability to hear the voice of the universe more clearly. So you can write more. So you can be clear about what to write. So you can be the person you were meant to be in this world. You will get clear about why you write. 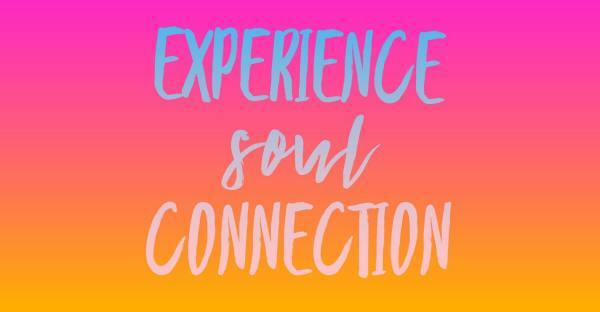 You will learn how YOU tap into the sacred art of the universe and how you need to maintain your connection on a daily basis. You will write from different locales, tapping into the wisdom of beaches, rocks, the jungle and a hundred year old tree. You will sink into the pace of island life, away from the rush of trying to be a million different things at once. You will find the VOICE OF YOUR SOUL for your writing. This is a workshop for you if you are massively creative and feel your life purpose is the written word. You feel that your message is relevant, important and urgent. This is for you if you want to move mountains with your writing- RIGHT NOW. 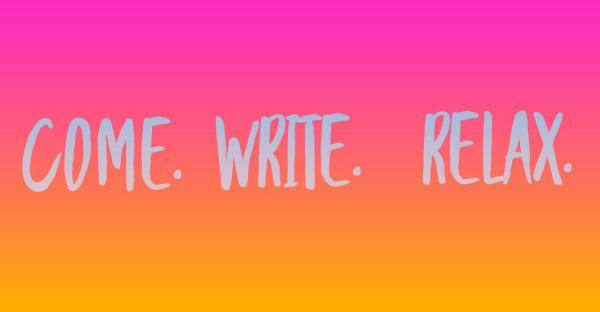 It’s capped at 20 writers who share your passion for writing and service. You will be in an intimate group in two sessions a day with ample time to journal, relax, mingle and explore. You will write. You will get real. You will get inspired. 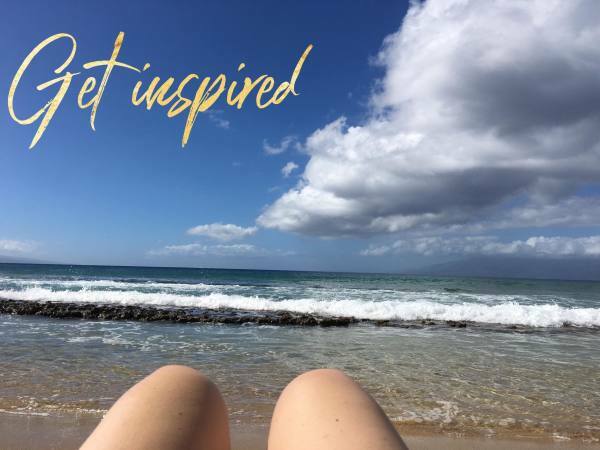 You will also leave with a workbook/journal/map of your journey on Maui full of ideas, insights and actions you will be inspired to take that will take you to your next level. The world is at a tipping point. The oceans are suffering. People are suffering. The land is polluted. Artists are torchbearers for truth with a capital T.
You are the truth. You are the light. Now is the time to shine. 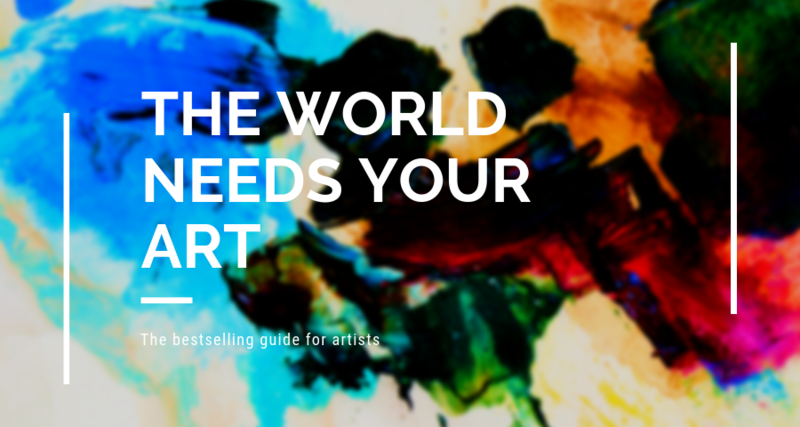 The world needs your art. The world needs your healing words. The world needs your light. Turn it on full force in Maui, surrounded by like-minded writers, steeped in the sacred, held in a container of massive support. The island wants to speak to you. I will hold massive space for you. You need to come to Maui. ​If you feel called to do this, you’d be kinda crazy to wait. Make the investment in your art, heed the call. Step into your light. I was once a blocked writer. of riding in a car or even watching tv. I knew I had a purpose. SOMETHING I was here to do in this life. Writing was the only balm for my soul. It helped me find a way out. It helped me connect to the divine- and my purpose for being. It came when I wrote in nature, outside, listening to the voices on the wind. The biggest turning point of my life was taking a flight to Maui when I had dreamed I might die on the flight over (as I had for years). I went anyway. Writing into my fears across the Pacific. I lived. I wore white for a month to recognize the divine order in my life. That’s how I came to publish my books. That’s how I came to recognize my soul’s mission to foster/develop/bring into the light other writers. I denied the message that art isn’t important any more. I took massive action. I wrote books. I blog. I occasionally rant. 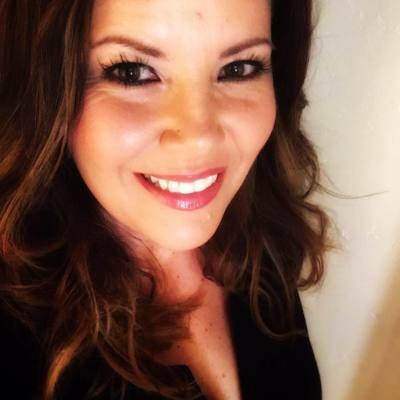 I stepped out of my comfort zone to create a life and business I truly love helping others write too. Most importantly, I went where my soul called. Heed the call of your soul. Hi! I'm Danielle Fournier. 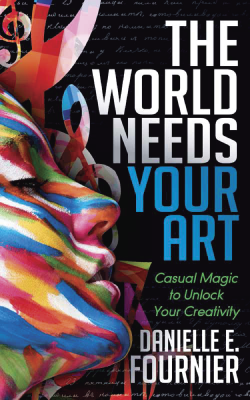 I am a bestselling author, artist and mentor to passionate creatives. Through energy work, business skills, techinical knowledge and a whole lot of support, I help cllients plan and execute films, books, music projects and gallery shows. Sharing this place with you as you develop as a writer is an honor. Fee covers workshop only. Continental breakfast, lunch and welcome dinner included. We will be on West Maui, just south of Kapaplua at a waterfont retreat houseduting the day sessions. All accomodations, travel and transfers are the responsibility of participants. Payments are non-refundable, however credit will be given in case of verifiable emergency for the next workshop. 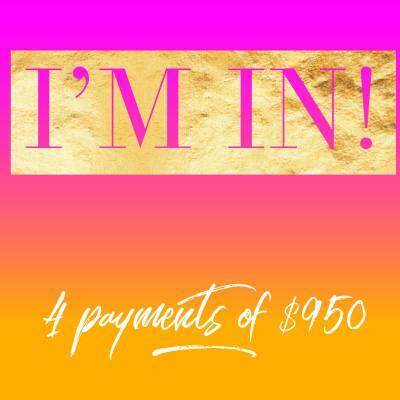 VIP Day May 6, 2018, by VIP session purchase only or enrollment by NYE 2017 only. Please indicate dietary needs on registration forms. No pets. No smoking on the premises, including cannabis. Violence and intolerance ain't cool and it ain't happening here. Waiver must be signed for Black Rock jump on Saturday, no exceptions. Please be honest about your swimming abilities. You can particpate without going in the ocean, but please be honest. All payments due by April 1, 2018 or registration will be cancelled. By enrolling, you agree to these terms. Weather permitting on all activities. No guests. Travel details will be emailed upon enrollment. Aloha!